Nowadays, we expect same day shipping of our Amazon purchases and we complain if our pizza delivery is lukewarm. But behind every overnighted package and midnight pizza order, there is a complex system of logistics that makes everything happen. 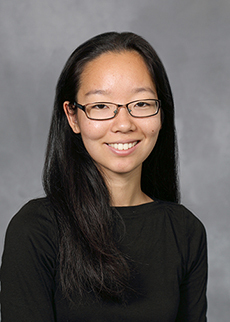 The satisfaction of solving the logistical cha llenges that underpin these expectations motivates Mika Sumida, a PhD candidate at Cornell’s School of Operations Research and Information Engineering (ORIE). Sumida studied mathematics at Yale before deciding to apply her theoretical skills to real-world situations through ORIE. She describes operations research as “model- and data-driven decision-making in complex environments.” It has applications anywhere you have resources or systems that you want to allocate or run more efficiently, she says. Sumida’s current interests lie in city logistics, umbrella term used to describe transportation and related resource allocation challenges in urban environments. She is working with Professor Huseyin Topaloglu on ‘dynamic resource allocation’ problems. Retailers who operate same day shipping, such as Amazon, have had to make radical changes to how their inventory is processed and shipped. Previously, companies like USPS or UPS or Fedex could take several days to move a product from an inventory store to a customer. That now needs to happen within hours. This leads to challenges in terms of physically moving units, but also in planning how they are moved. Under old systems, schedule planning might take place overnight and a delivery worker could follow a route over an entire day. “Now, you have a really dynamic system where orders are coming in throughout the day, and you have to tell workers in real time to go and satisfy that order,” explains Sumida. Sumida’s research aim is to find a cost-effective solution that assigns orders to workers using the least amount of resources, while still satisfying customer expectation. In an Amazon warehouse, for example, this means deciding which orders should be propelled at what time, and doing so as they are coming in. She expects her end solution to be a practical suggestion on how to implement this type of dynamic dispatching, “It will be some sort of algorithm or policy that minimizes cost while still satisfying all the demands,” she says. Sumida has already tackled the issue of fare-locking, an operations research problem facing airlines. Many companies now give customers the option of locking in a fare instead of purchasing it outright. This means that companies have to allocate that seat to that person while the fare is locked. As this could be for one or two weeks it creates a difficulty, explains Sumida. Sumida’s background in theoretical mathematics provides the backbone for the policies, algorithms and techniques she develops to address these logistical conundrums. “Part of operations research is coming up with mathematical tools to better solve those optimization problems,” she says. Sumida’s work within city logistics and fare-locking has been shaped by interning for companies that face operations research challenges on a day-to-day basis. She helped a faucet manufacturing company in Boston streamline their production, and she worked with a clothing retail company to improve their systems for allocating inventory. Last summer, while Sumida was based at Cornell Tech, she worked with Homer Logistics — a New York company that handles deliveries for restaurants. Her experience at Homer Logistics gave her a solid view of how dispatching and city logistics work in practice. It also showed her how challenging the problems can be, and this deep understanding inspired her current work on dynamic resource allocation. For Sumida, establishing industry links and being able to work closely with Professor Topaloglu, are enormous benefits of being part of the School of Operations Research and Information Engineering and Cornell Tech.